Those who served receive free admission at state parks on Nov. 11. The California State Parks will honor veterans by providing free-use day passes to the state parks to those who have served on Tuesday, Nov. 11. A MOMENT IN NATURE: Veterans Day is honored in multiple ways around California, from speech-filled ceremonies to quiet remembrances to film presentations and beyond. But there's a new way, as of 2014, to pay homage to those who have served, and for those veterans who love spending time in our natural landscape to do so, for free. Assembly Bill 150 ushered in new legislation that now makes it possible for veterans and active duty military personnel to have free day-use access to our California State Parks on Veterans Day (and Memorial Day as well). 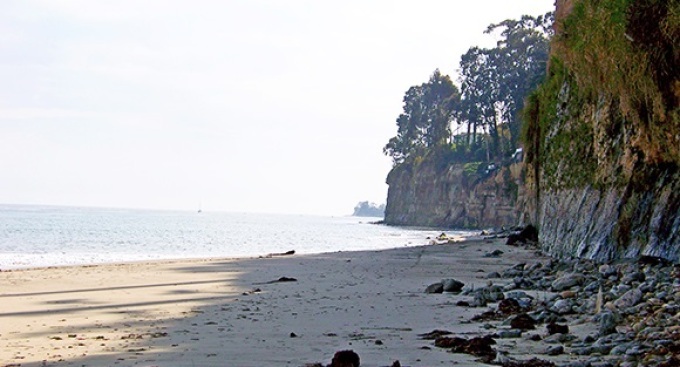 "This new benefit was established on January 1, 2014" writes the California State Parks Foundation, which supported the bill. Need to find your moment in nature this Tuesday, Nov. 11? Head this way. MORE WAYS TO HONOR: The National Park Service has a list of several sites of remembrance around the country. And the U.S.S. Iowa, which is now located in San Pedro? As is tradition, the World War II-era battleship will welcome active duty military and veterans for a Veterans Appreciation Weekend on Saturday, Nov. 8 and Sunday, Nov. 9 and a morning service on Tuesday, Nov. 11. BAY AREA CEREMONIES: Make for either the S.S. Red Oak Victory or the U.S.S. Hornet on Tuesday, Nov. 11 for tours, screenings, exhibits, and discussions. Air Group 11, the subject of the film "Eleven," will receive a wreath-tossing tribute as part of the special proceedings.